Breakfast cookies and breakfast bars are quick, on-the-go kind of breakfast for those busy mornings when you don’t have time to sit down and eat. Instead of reaching for store bought bars loaded with sugar and other artificial ingredients, having home made breakfast cookies/bars ready to go is such an amazing option. Bake it ahead on weekends and store it in the fridge/freezer and you are all set. Yet another baking recipe using banana! 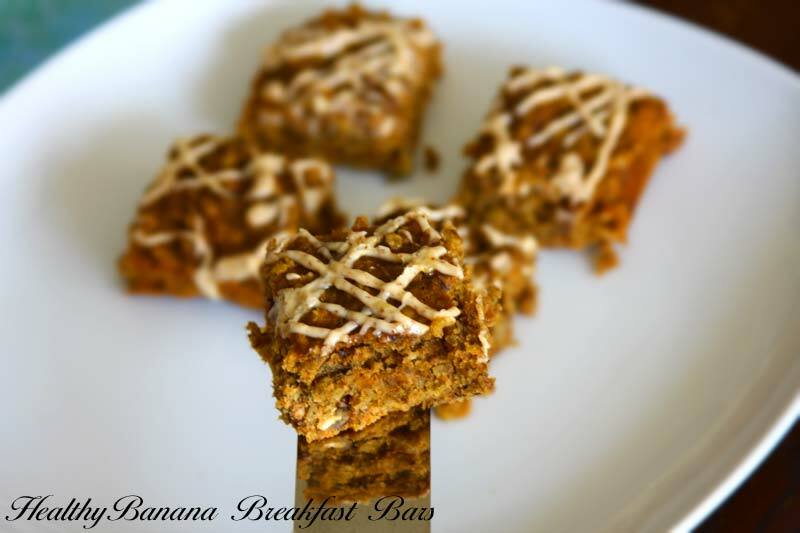 The same old story…had over ripe bananas and was looking for a good recipe and stumbled upon this banana breakfast bars recipe. Luckily I had all the ingredients at home, so proceeded with the recipe immediately. 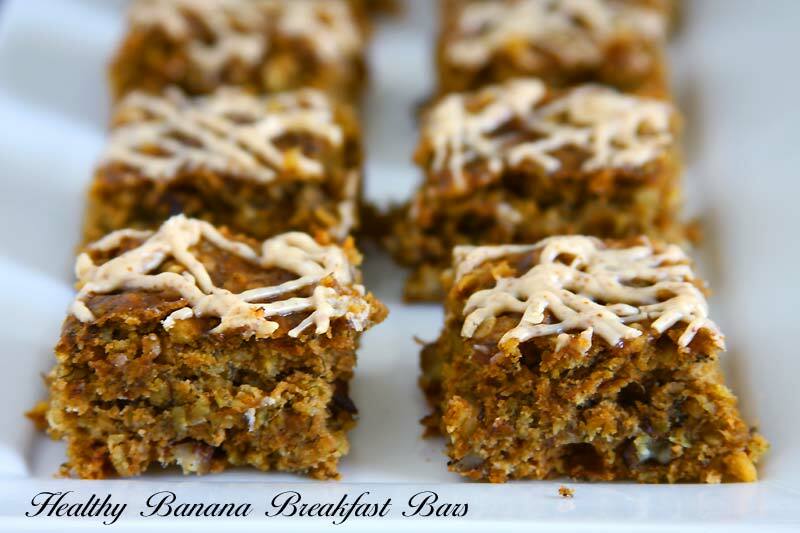 I used an extra banana for the egg to be replaced in this banana oatmeal breakfast bar recipe. 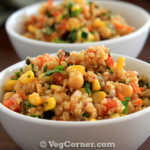 You can also try using 1/4 cup of yogurt or silken tofu instead of the egg. I used banana itself because had a lot at home which I wanted to finish off as quickly as possible. 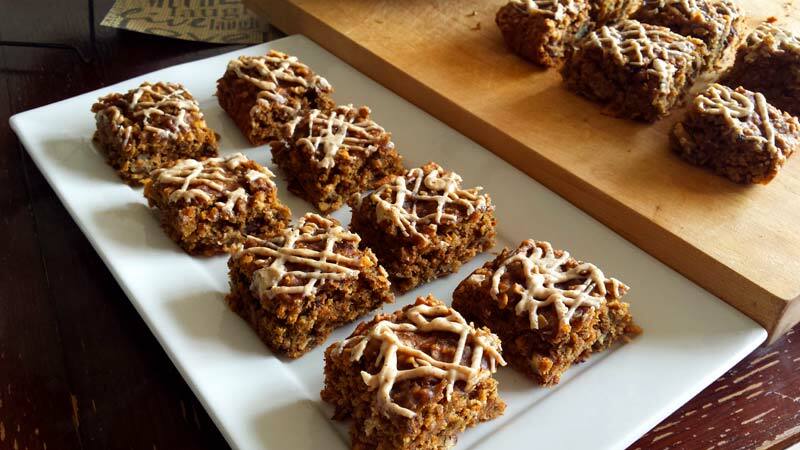 As the name implies, this is a healthy oatmeal banana breakfast bar but not just reserved for breakfast, it’s perfect for any time of the day. 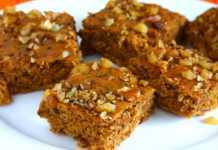 Check out here for more baking recipes using banana. Looking to make something healthy with over ripe bananas? 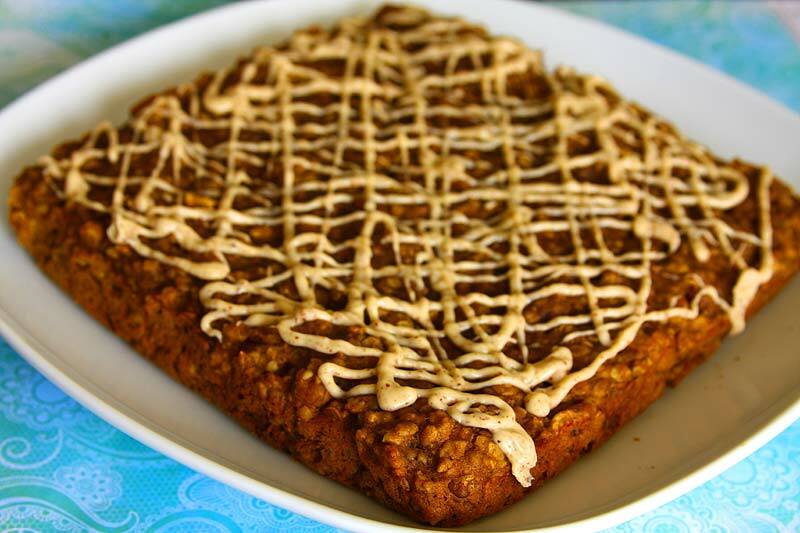 Look no more because I have got a very healthy banana oatmeal breakfast bars recipe. 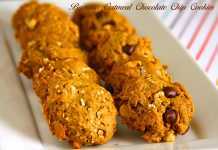 Made with lots of banana, oats and whole wheat pastry flour and less sugar, it’s an anytime treat. Line a 8×8-inch or 9×9-inch square pan with aluminum foil, with extra sheet hanging out on both the sides and lightly grease it with non-stick cooking spray. Using aluminum foil will make it easy to take the baked bar out. If you don’t have foil, grease the pan generously with non-stick cooking spray. Place the bananas in a large bowl and mash it well with the back of a fork or a potato masher. 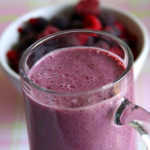 Its not necessary that you mash it smoothly. Few chunks are okay. Stir in the oil, brown sugar and vanilla extract. Mix well with a wooden spoon. Now stir in the baking powder, baking soda and salt. Mix well. Next incorporate the flour and oats and mix. Some lumps are fine. 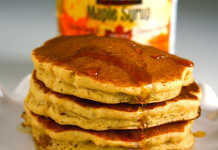 You may have to add a tablespoon or two of water/milk to the batter if it appears to be thick. Spread the batter in the prepared pan. Bake it for 18-22 minutes or until a toothpick inserted in the center comes out clean. Remove the pan from the oven and place it on a wire rack to cool for about 10 minutes. Use the foil hanging out to lift the baked bar from the pan and place it on the wire rack to cool completely before slicing it into individual bars. If not doing the optional drizzle then you can cut it into slices once it is cooled completely. If you want to do the drizzle, melt white chocolate and the nut butter in 30 seconds increments in the microwave oven until it’s smooth. Place the melted chocolate in a zip-loc bag and cut the tip and drizzle it over the bar. Leave it for a while for the icing to harden and then cut it into individual slices. Either consume it within a day or two or else store it in the freezer. 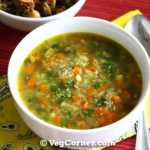 It doesn’t keep well on the counter for longer duration because of the over ripe bananas. You may also add 1/4-1/2 cup of chopped walnuts or any other nuts of your choice. I avoided it because I wanted to send it to school with my son. Previous RecipeHow To Make Delicious Pistachio Ice Cream At Home? Hi! Can I substitute applesauce for the oil? Yes it should work Cathleen. Probably it might need a few more minutes in the oven. Tried it today the taste was good, this is definitely a keeper recipe. 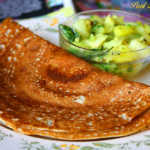 Few alterations tat I made replaced whole wheat pastry flour with coconut flour n added powdered walnuts. Oh nice to know Athi. Thanks. What can be substituted for the wheat pastry?